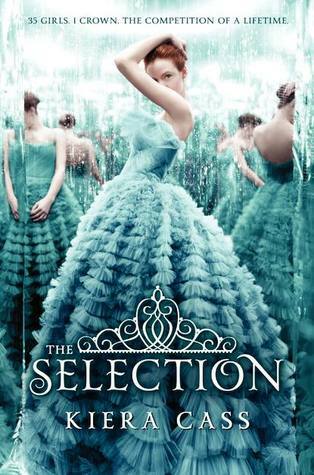 When I first found out about The Selection, I felt no attraction to it. I mean, princesses and pretty dresses? Not a thing for me, or any guy. But I'm glad I had a chance to read it. It turned out to be a fun book to read. Though, I know that there is something bigger behind the scene, that Kiera Cass is keeping it from us. Hopefully, we'll get to it in the second book. There was quite a lot romance. 35 girls and 1 boy. You know where this is going. The private moments between America and Maxon were nice written. Not a lot of it. If you are looking for a book with all-the-time action, this isn't for you. I used to be crazy for books that had a lot of action. But now that I've read a few that aren't all action paced book, I've started to chance my opinion. America Singer is a good heroine! And let me tell you something, I hate that some of you are talking about the name so much, and how much you hate it, WITHOUT even having read the book. I think that this name fits perfectly for her. Read the book and you'll find out the history behind it. Maxon is one of my favorite male characters. I don't need to say more about him. Definitely, not your typical YA male character. The chapters with the history lessons. All that made up history is super awesome. When a certain Aspen re appears in the book. Sometimes I hated Kiera Cass' writing style. I don't want to talk about it a lot, but sometimes it wasn't the best. Yes, I would. Mostly, to girls, but if you look past the pretty dresses, it's a good book for everybody. *note: From this review on, this is the way I'm going to review books. I won't use the essay form anymore, because I think this is an easier way to write them, and at the same time get to the point without talking alot. If you like action books you should read Article 5. I agree with your review. This book was a fun read and I hope more is released in book 2! I had my eyes on this book for quite some time, I'll have to check it out! I like the new concept of your reviews, it really is easier to read and more to the point. I found the writing style to be OK, but I didn't like how she portrayed Maxon and how he spoke in this weird old english style.. and America.. ugh don't get me started on her.. if the book is said to be a mix of The Hunger Games, then you expect ATLEAST a bit of action... but nothing.. However I get what you mean on how the author is keeping something big from us and will probably reveal it in the second book.